LinkedIn has become an extensive professional network with over 100 million professionals using the platform. When it comes to being able to generate more leads, it’s a lot like steadily growing a mutual fund, in that the more you put into it, the higher your returns. With the right forms of positioning, targeting, pitching, and engagement, you can use your profile on LinkedIn to generate more qualified leads. Getting more likes and followers for your LinkedIn company page doesn’t always translate into more leads. 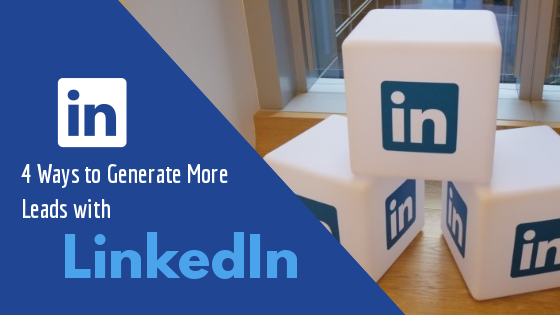 To utilize LinkedIn to generate more business leads, you need to connect with the right audience. To start using LinkedIn’s search function, narrow down the specific job roles that you want to target; make sure to focus on those individuals who are more likely to understand the benefits of your products or service, as well as those who have the authority to make a buying decision. After you connect with the right people, introduce yourself and your company in a light tone. As you start to gain more leads, you’ll need to start engaging your growing audience by sharing with them educational material that can help. When you share valuable content with your LinkedIn connections, it will help to build your credibility with your target leads. You can streamline the process of sharing content with your LinkedIn connections by using tools like Buffer or Hootsuite to schedule your content. One of the best ways to establish credibility in your industry and generate more leads is by sharing your insight and knowledge with the people with whom you want to work. You can do this with LinkedIn Groups. This feature provides a way for you to find people who have the same interests as you and who might benefit from your product or service and helps you warm up to them. While talking in LinkedIn Groups, you want to look for posts that are getting maximum traction and then participate in them. While you are engaging with the group, make sure to offer advice that reflects education rather than self-promotion. Upgrading to LinkedIn Premium provides you with access to LinkedIn’s Sales Navigator tool, which you can use to narrow down your search to fit your ideal customer. Then you can save the results and send significant leads InMail messages to introduce yourself. Your lead generation process needs to be structured to be effective. Using these four tips and tools can help you build a steady stream of leads with LinkedIn. What has helped you in being successful with obtaining leads from LinkedIn?